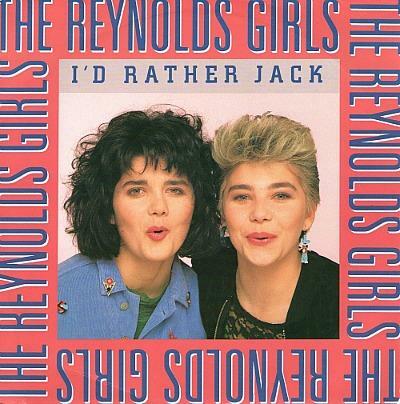 THE REYNOLDS GIRLS "I'D RATHER JACK (THAN FLEETWOOD MAC)"
Many critics described this top ten hit in 1989 as the end of the line for Stock Aitken Waterman and its PWL label. Well, it did look like Pete Waterman had randomly picked these two sisters from the streets of Liverpool to perform this video, but I suppose they did their best. "I'd Rather Jack than Fleetwood Mac" was a response to critics who ignored the younger pop acts in at the time, and to Radio One DJ's who continued to play older bands on their playlists. 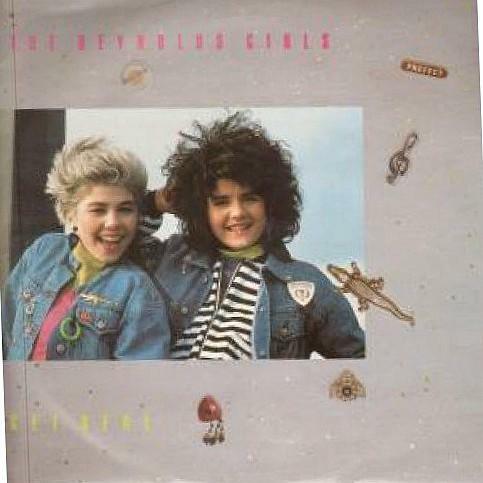 This is the vinyl 7" cover of The Reynolds Girls second (and last) single Get Real which failed to hit the Top 40. If you thought I'd Rather Jack was bad, then listen to this out-of-tune song from 1992, featuring a band which was big on the club circuit in the early 90's. They supported Take That in concert amongst others. The band was fronted by Linda Reynolds (One of The Reynolds Girls), Antoni Savage and David Dolman.